Assalamu alaikum everyone – peace be upon you all! Yesterday, after several ‘takes’ (I had to take the rubbish out, then I took my family grocery shopping, then I took a nap), a brand new book trailer was born. And here it is! What do you think? Assalamu alaikum; peace be upon you all, and a belated Eid mubarak too. We held an Eid barbecue at our local mosque yesterday. It was opened up to the whole community; not just the local Muslims, but our neighbours, friends, and a few dignitaries as well. Wanting it to be special for the children, a number of activities were organised, including a bouncy castle, a tug of war, a Qur’anic recitation event and – I just couldn’t resist this one – a ‘Beat the Goalie’ competition. For such a competition to be a success, there are a few essential ingredients. I can think of five. No problem here. Three penalties per turn, anyone scoring all three to write their names in the Hall of Fame and take their place in the grand final later in the day. The queue to take part was predictably long at all times. The majority of the events took place inside the large prayer room, with the bouncy castle at the opposite end. Plenty of space, but a need to be very careful. Easy enough in normal circumstances, but given the surroundings, a sponge ball was deemed to be appropriate. Fortunately, a member of the community bought two of these as a gift for the mosque. They arrived less than 24 hours before the event and one was promptly assembled in time for the big day. The event unfolded in a manner entirely in keeping with the spirit of The Victory Boys. It is impossible to measure the enjoyment experienced by the children who took part, whether firing blanks in front of goal or bagging a hat-trick of penalties and making yours truly look a little silly in the process. By the end of the activity, the main task was to prevent the enthusiasm of the grown-up spectators from turning it into a competition for themselves! 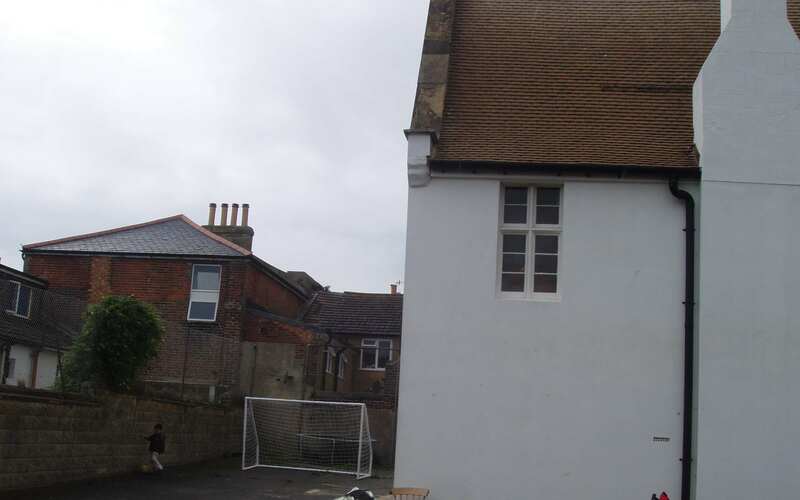 The second goal was erected today, and now occupies a space at the opposite end of the yard from the first. It is the same yard in which I imagined many of the scenes from the opening pages of my story, with Junayd, Ibrahim & co. tearing around delightedly and giving everything to score between the brick-stack goalposts, consumed for a moment in the joy of sport, and at the same time unknowingly cementing bonds of brotherhood. The yard, the goals, are ready. The new goal, born today. The other end. (Note the bricks in the corner). Taking a breather at the barbecue, a neighbour pointed out to me the rear of her house, adjacent to the yard. I mentioned The Victory Boys to her, and my hope that her greenhouse would be safe from footballs. She reassured me that she only had a pretty resilient peep of chickens out the back; it was next door’s greenhouse. Assalamu alaikum – peace be upon you all. It’s been a whirlwind year for Imam Munieb. 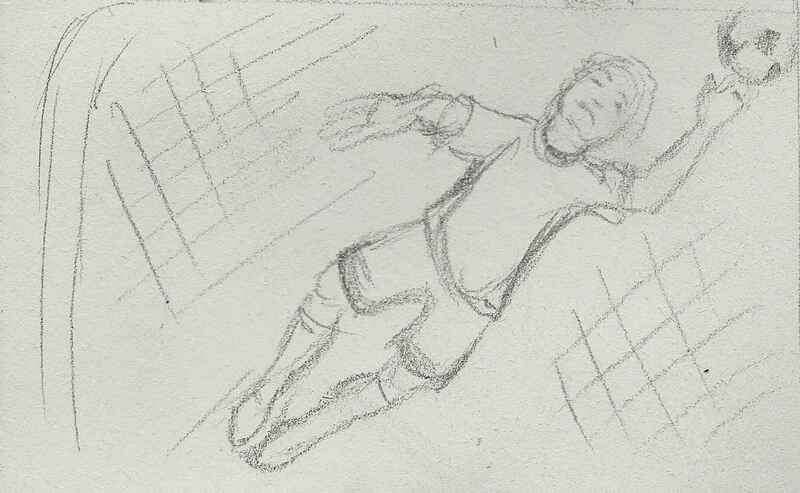 As the short excerpt at the bottom of the page will demonstrate, it began with a considerable amount of frustration at the condition of the boys in his madrasa, and in particular their evident love of football above anything else. (Imam Munieb would freely admit that, back then, he had no time for the game whatsoever). The Imam on football: he used to bleat about it; now he tweets about it! 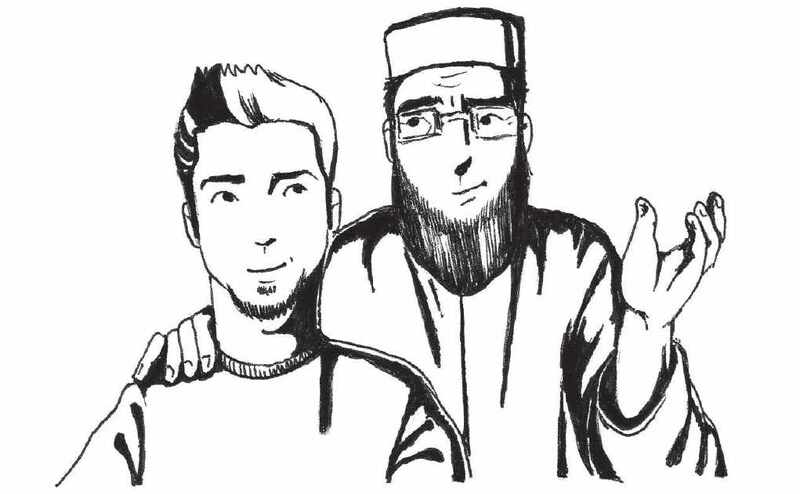 Now the Imam finds himself the humble founder of arguably the most successful extra-curricular venture ever to be undertaken at the mosque, the reluctant star of The Victory Boys… and even an occasional dabbler in the world of social networking! Kube: What possessed you to start a football team? Imam M: Yaa akhi, I hope your readers will not think it is a case of possession. 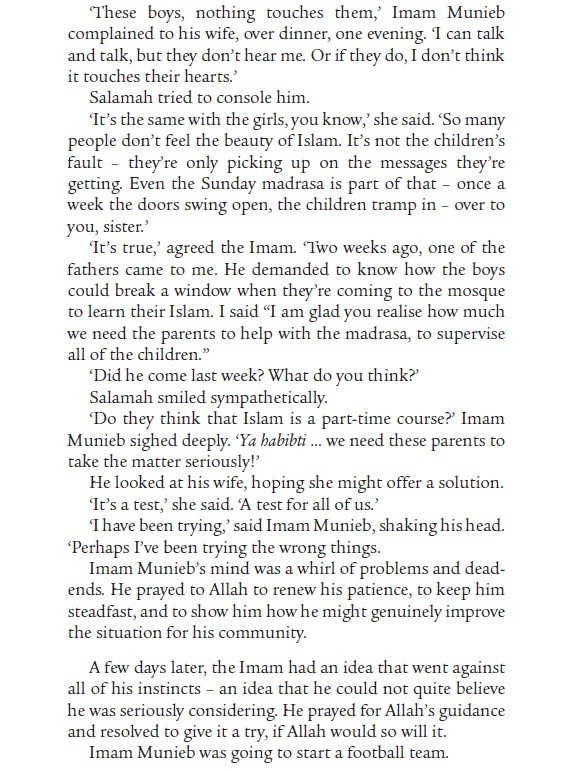 Actually, I have a group of boys at the weekly madrasa – they are all about 10 to 14 years old. All they talk about is “football this”, “football that”. I began to think that maybe football was their life. But Islam should be their life, and I wanted them to see this. But you know, after a while, I started to think: maybe there is room for football in their life too. 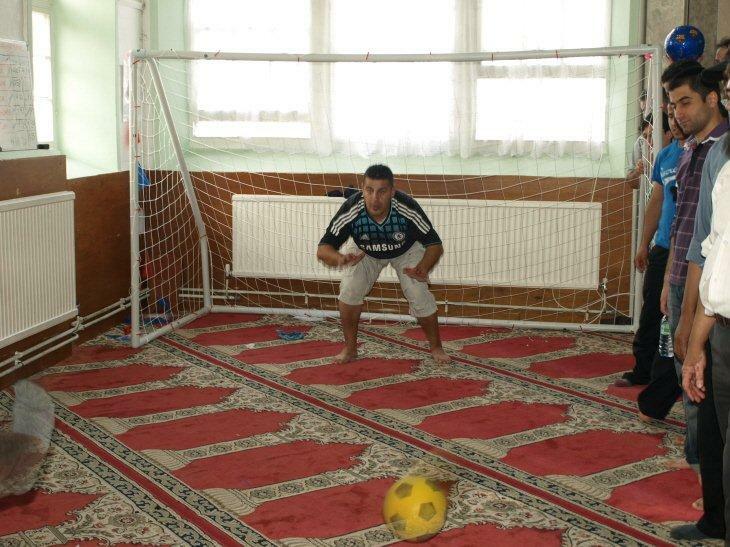 So I tried to marry the football to the deen, in a good, halal way. K: Do you know much about football? I: What would you like to know? It is a round, leather thing. Inside there is air. 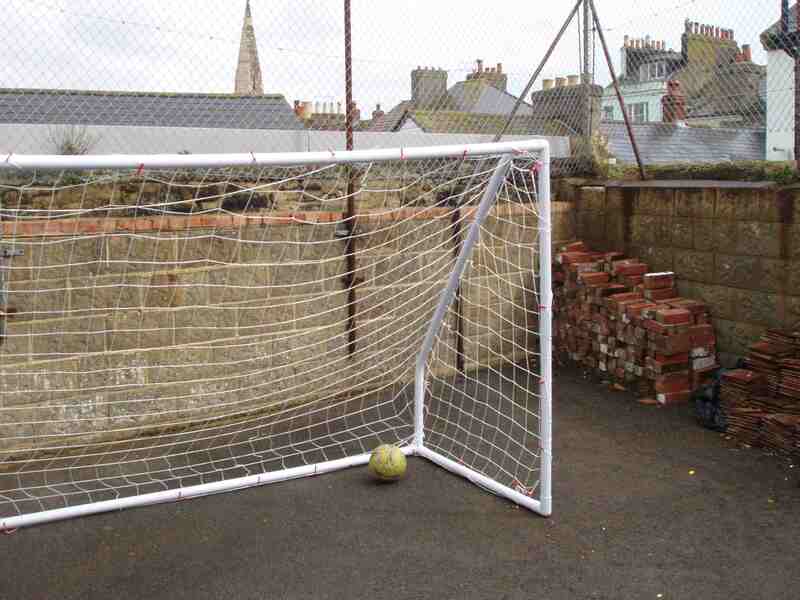 Also there are two goals and you have to kick the ball into these goals. K: Can you explain the offside rule? I: I have heard of this off-slide rule but no, I do not know how many points you will get for an off-slide. K: How will you be able to manage a team knowing so little about the game? I: I have made the good intention, and I pray for its success, Insha Allah. I hope that maybe I can find someone to help with the team and I have a young man in mind who I think will be perfect. Also, the boys are telling me we need a good coach, but I do not plan for any long journeys to games. We can play in the local park. Or catch a bus if we need to. K: Has the introduction of football made a difference to any of the boys’ attentions in class? I: I feel yes, Masha Allah, there is a big difference now. Before the boys didn’t want to learn about their deen. Now they see the team and the deen are things which bring them together. I: They think they are good enough! I think you will have to read the book to find out if they really are! 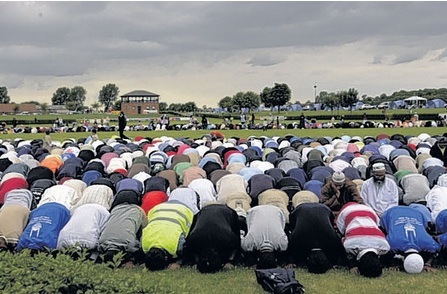 Chapter 4, "A Change of Heart"
Yesterday found me in a tent, in a field, in Lincolnshire (an English county I’d never visited before) as Day Two of the famous Living Islam event got into full swing. I had agreed, with Kube, to run a couple of writing workshops for Muslim Scouts, and had devoted many spare moments over the last couple of months to generating ideas for activities that would (hopefully) not resemble some sort of punishing Summer School! Anyway, that these young writers came up with such impressive results had far more to do with their enthusiasm and creativity than the somewhat experimental format of my workshop! Please read on and enjoy Eesaa’s composition below. (3) take blindfold shots at a goalnet. (4) Finally, they were also asked to include some of the agreed descriptions and traits of these new characters in their writing! As Mr Bateman walked off, Saleem thought, “Hmm, a speedy substitute…”. He looked over at Danyal sitting on the bench in his shorts and scratching his short, black hair. As Saleem walked over to him Danyal looked up. “Yes, Coach Saleem!” As soon as the words came out of his mouth Ibrahim, on the pitch, was fouled and his knee started bleeding. Limping off the pitch Ibrahim put a plaster on his knee. “Danyal, you’re on!” said Coach Saleem. Danyal jogged on and got into the striker position with just 5 minutes left. News came through on mobiles that the leading team had won their game so Shabab Al-Nasr had to win. Back on the pitch a superb through ball by Junayd had released Danyal who raced clear and… slipped over a banana skin! It had been thrown by one of Rovers’ defenders. The ref blew his whistle and pointed to the spot. PENALTY! With 1 minute left Shabab Al-Nasr had won a penalty! Danyal stepped up nerveless, even though the pressure was immense. As Danyal ran up the keeper waved his gloves distractingly. The ball hit the crossbar… then post… and went in!! The final whistle blew and Shabab Al-Nasr celebrated. They had won! “Getting it right”; or: “One man’s fine-tuning is another man’s nit-picking”? When we left the publishing process at the end of the previous post, it was June 2010 and – to my mind – the script was finally ready to become a book. Presumably it would just take a few weeks to get some pictures drawn, and maybe a month to have a few million copies (!) printed? …exactly why did it take twelve more months for The Victory Boys to be released? Well, first of all, as I subsequently had it explained to me, the publishing world does not move quickly. This can be incredibly frustrating, especially if one is not aware of the reasons why there should be any delays. In my situation, there was an added complication: the editor with whom I had been working, quite reasonably took up employment elsewhere, meaning that the publishers needed to recruit a new editor. Enter Brother Yosef, who contacted me in January 2011 with great enthusiasm regarding my manuscript.